Members of The Crossing and the Young People’s Chorus of New York City rehearse for “Fire in my mouth.” The musical event runs Thursday through Saturday at the New York Philharmonic. Kelly, a second-year graduate student in the Bienen School of Music, is one of 146 women and girls who will perform in Julia Wolfe’s “Fire in my mouth” at the New York Philharmonic this Thursday through Saturday. The musical work tells the story of the Triangle Shirtwaist Factory fire of 1911 and touches on issues of immigration, feminism and the labor movement, Kelly said. Kelly said the singers will wear aprons and carry oversized scissors, rather than donning the typical concert black, to embody the Triangle Shirtwaist Factory workers. The number of singers in the choir also draws an eerie parallel to the fire, where 146 workers died, the choral conductor Donald Nally said. Nally conducts The Crossing, a Philadelphia-based chamber choir dedicated to new music, and is also the John W. Beattie Chair of Music at Bienen. He said while “Fire in my mouth” was commissioned by the New York Philharmonic, the choral arrangement was “tailor-made” with The Crossing’s sound in mind. 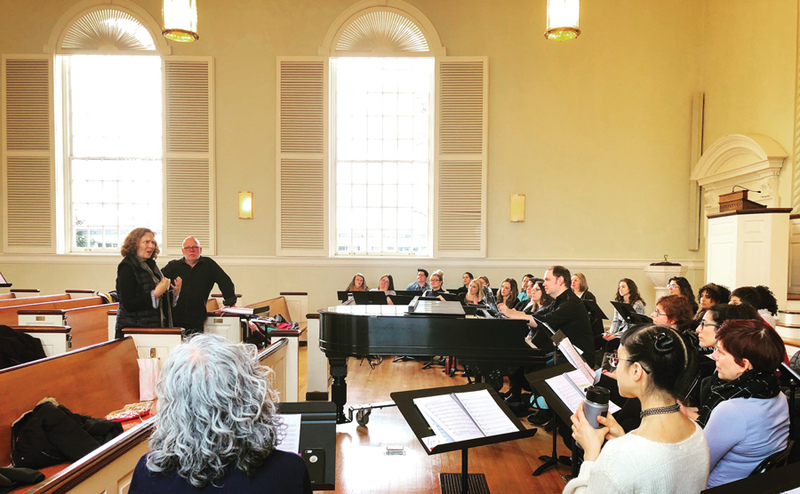 Since The Crossing usually performs as a co-ed group of 24, Nally reached out to a wider network to come up with a group of 36 women singers and 110 young women from the Young People’s Chorus of New York City. The choir includes six current and former members of the Bienen Contemporary/Early Vocal Ensemble, he said. More important than the gender makeup of the choir, Kelly said, is the message that the audience takes away from the show. Gabrielle Barkidjija, (Bienen ’18) a first-year graduate student in Bienen who will also perform in ”Fire in my mouth,” said the show’s themes of immigration and protest are especially relevant in the current political climate. Though the show is based on a tragic historical event, Barkidjija said several points in the piece, such as the “Protest” movement, are empowering rather than depressing. Nally said he admires the courage displayed by the women who sing in the show, as well as the strength the piece gives to the women they are singing about.